According to the Houston Chronicle, All nine Texas Democrats joined the 90 percent of House Democrats favoring the deal, which passed comfortably. Texas Republicans, on the other hand, were even more strongly opposed to the package than other GOP lawmakers. Only four of the state’s 23 GOP House members — Kevin Brady of The Woodlands, Lamar Smith of San Antonio, Pete Sessions of Dallas and Mac Thornberry of Clarendon — voted for the bipartisan deal. Among the 18 Texas opponents were four of the six Houston-area Republicans and lame duck Rep. Francisco “Quico” Canseco of San Antonio. Retiring Rep. Ron Paul of Lake Jackson was not present for the 11 p.m. EST vote. Just under two-thirds of all House Republicans ended up voting no. House Speaker John Boehner, House Budget Committee Chairman Paul Ryan and House Ways & Means Committee Chairman Dave Camp favored the deal, but House Majority Leader Eric Cantor joined Texans in opposition. But Brady is soooo conservative, just ask him? Kevin Brady is in the wrong party. He has been a Obama Enabler all along. Look at how he Votes and where his campaign money comes from. Im glad that Brady is not my Congressman anymore, he has always been a Rino. He does not care about his people just his job, bet he didnt refuse the entitlement package offered to the elite in congress. While our true Tea Party Conservatives did refuse the lucrative retirement and health package and sleep in thier offices instead of wasting our tax dollars. Who in this outfit is calling Joe Straus a Conservative? 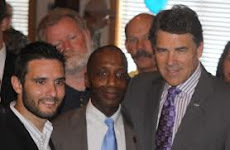 Help Joe Straus fight Obamas's overreach??? Straus is in Obama's lap, like Kathy Griffin on Anderson Cooper!! !